The Long Lost Meal Plan - Baby Doodah! 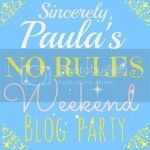 Though, I’ve been absent, making our meal plan is STILL just as important! So, even though I haven’t been around all that much the last few weeks, Seamus and I have continued to meal plan. For us, it is a necessity. When we don’t, chaos ensues, which leads to us eating out WAY too much – which is never good for the wallet or the waistline. Meal planning has never been one of our favorite activities, because we will tend to go back and forth on what to eat. I’ll suggest something, then Seamus will and the other one won’t want that meal. We would go back and forth and tend to just get overwhelmed with the process. We’d dread Saturday nights! After WAY too many annoyances when making our meal plan, we decided to change some things up. We started making the list earlier on Saturday, instead of after Emmett was in bed. This allowed us to avoid the times when we both like to do our own personal work. This is probably the #1 reason why meal planning isn’t such a chore any longer. We both want “our” meals to be the ones made. However, that sometimes just isn’t feasible – now, instead of pushing for our meal to be the one chosen, we both take it in stride if it isn’t, and we decide to make it the next go round. 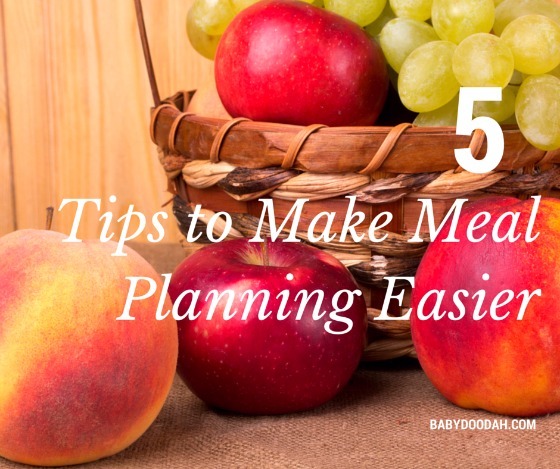 Because of this we now have more meals in our “master list” and it makes next week’s planning easier because we already have one meal queued up. We focus our attention on making the list. Previously, we would sit at our desk with our computers open and would BOTH be distracted. It would take ages to the get the meal plan done and we’d just get annoyed. Now, we do it either at the table or on the couch, while Emmett is watching some of his TV. Don’t get me wrong, we do occasionally still have our computers or phones around to look for recipes, but we aren’t doing other things during this time. We aim to have an arsenal of different recipes or food ideas ready, before sitting down to make our list. It doesn’t always work, and can backfire, if all of the meals you have in mind are turned down by the other person, but this has helped at times. And finally, easing up and not taking the whole experience so seriously. There are people who LOVE to meal plan and I am sure that is because they view it as a very relaxing activity. So far, with this new method, things are going A LOT better, and while I cannot say I enjoy making a shopping list, it isn’t quite so unbearable. If you’re looking for more meal plan tips & tricks you can check-out My Recipes, Week Night Dinner Arsenal or Cooking Light’s Meal Planner (this one is awesome, you drag and drop your meal choices). 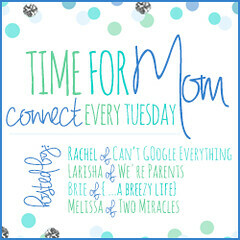 I’m linking up with Laura from Mommy, run fast! 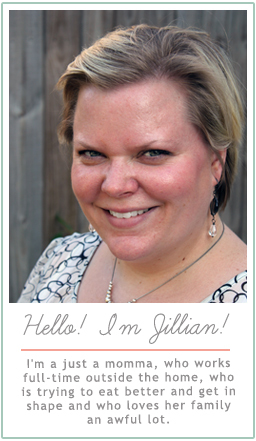 and Jill from jillconyers.com – you should join us, there are even MORE meal ideas over there! Do you enjoy meal planning? What are your tips, if you do? Share in the comments below!